Many drivers have experienced what it is like to be behind someone who is talking on their cell phone. Because the driver is multi-tasking they have trouble placing a concentrated focus on the actual subject of driving. Their speed can fluctuate and they may drift into other lanes or make very abrupt stops. In some ways it can appear as if you are following someone who’s had too much to drink. Sometimes these drivers are the cause of accidents. Business owners are finding themselves in a precarious situation. If their employees who must drive also use a cell phone and that employee is the cause of an accident while talking on their cell phone it may be the business owner who may be found liable. The Occupational Safety and Health Administration (OSHA) passed along a story in a recent newsletter that documents a true story. The results speak for themselves. Clients anticipated the arrival of Ms. Walker who used her car as a mobile office most days. It didn’t take Ms. Walker long to discover she could get more work accomplished if she used her cell phone while she drove from one client’s location to the next. Walker entered the onramp of the regional Interstate and set her cruise while using the company supplied cell phone to make an appointment with a client. She didn’t notice the traffic snarl until it was too late. Walker hit the vehicle in front of her causing it to overturn. The driver’s arm was lodged between the door and the pavement. In the end this victim, a single mother of four, lost her arm to amputation. You can probably tell what direction this story takes next, and you’d be right. The victim sued both Walker and her company due to what she perceived as an unreasonable hazard associated with the cell phone use. Millions of dollars in damages were asked for and millions of dollars were given to the victim. You may think this is an isolated case, but employers across the US are finding themselves liable for accidents involved employees who use company supplied cell phones while driving. Case # 1 – A jury in Arkansas settled a case involving cell phone use and an employee behind the wheel. The expense to the employer? $16 million. Case # 2 – An accidental death case resulted in another $16 million settlement against a separate employer. Case # 3 – An attorney using a cell phone while driving struck and killed a 15 year-old girl. The attorney faced felony charges and her firm settled for an undisclosed sum. Case # 4 – An employer settled a case for $20 million where cell phone use by an employee led to an accident. We’ve talked about these collisions in light of using a cell phone provided by an employer, but a similar scenario is true if the employee is using their personal cell phone for business purposes. In other words it may be fiscally responsible to develop a proactive plan to deal with employees and their use of cell phones for business purposes. An employee could be injured or killed in an accident in part because of cell phone usage while driving. It is an unsafe activity and increases the risk of injury or death. If the employee is engaged in company business while on the phone and involved in an accident then the employer may be liable, and face significant financial repercussions. 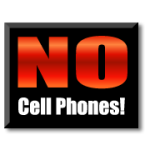 Does your company have a policy related to cell phone use? More and more governing boards as well as judicial courts are finding in favor of victims in cases where an employee is using a cell phone for business purposes while driving. A company policy may limit or even negate your potential liability is such cases. Ignoring this problem could result in the loss of millions in company revenue and potential loss of innocent life. Want to improve your Safety Skills and rack up continuing education credits in the process? Warriors 4 Safety offers a complete on-line training program: Online Safety and Health Training Programs. Courses are designed for employers, supervisors, and managers who need to thoroughly understand, implement, and communicate an OSHA program.